Marion Macleod might speak with a soft Scottish lilt but when she joined the Board of Fenwick Software in February 2017 we quickly realised that, although she speaks quietly, when she does speak it behoves us to listen. Over its forty-two-year history Fenwick Software has, like most companies, experienced its share of ups and downs, and has reinvented itself a number of times. For thirty-five years there was one constant—Peter Fenwick’s hands on the leadership reins. A major change took place when Peter decided it was time to ‘retire’ (to write a book) but wanted the company that he had created to continue into the future. Fenwick Software moves into the 2018/19 financial year with a new look Board. For the first time we have an external Chair. Marion Macleod has brought fresh ideas that will guide the company towards its fiftieth birthday. In June 2011 Peter relinquished his day to day operational role and handed the CEO position to Greg Galloway. He did, however, remain on the Board as Chair. Now, seven years later, Peter has stepped down as Chair and Marion Macleod has taken over. Peter remains a Board member. When Marion joined the Fenwick Board she brought with her more than twenty years’ experience on Boards and Committees. Her knowledge of telecommunications; technology; education; banking; and logistics companies, plus her background as a past council member and current facilitator of the Australian Institute of Company Directors, with specialist knowledge of governance, risk and strategy, added new breadth to the Board. Fenwick Software’s growth, its position as a leading Microsoft Dynamics partner, and the development of its international software sales, makes Marion’s concept of the AICD’s ‘hypothetical’ discussion series, the “Boards of Tomorrow” (which looks at how Boards need to change to meet the needs of the future) a prescient initiative. Away from her business commitments, Marion has given back to society through her involvement with Rotary, which has been recognised with the prestigious Royce Abbey and Paul Harris Fellowship awards. She is President-elect for Melbourne Rotary’s centenary. Fenwick Software moves into the 2018/19 financial year with a new look Board. For the first time we have an external Chair. Marion has brought fresh ideas that will guide the company towards its fiftieth birthday and fulfill Peter Fenwick’s desire for the company to continue to enjoy success well beyond his eventual retirement from the Board. 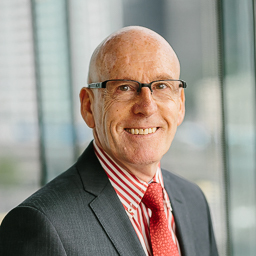 Peter has been in the Information Services industry for more than forty years with broad experience covering a number of industries working in both Australia and New Zealand. He holds an MBA from LaTrobe University. He has served on a number of Boards of IT companies. In 2010 Peter became an non-executive director of Fenwick Software.